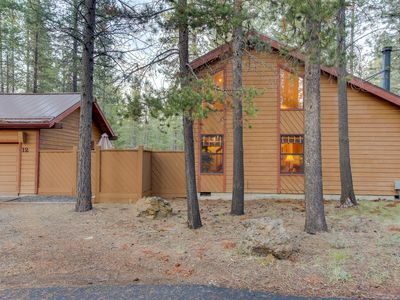 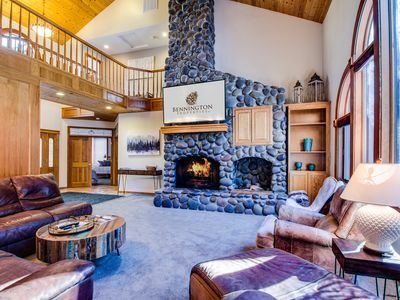 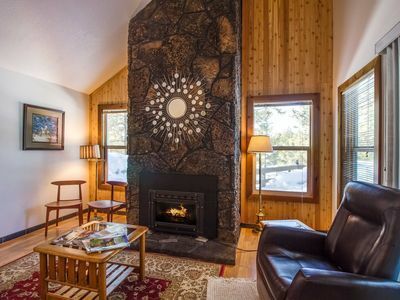 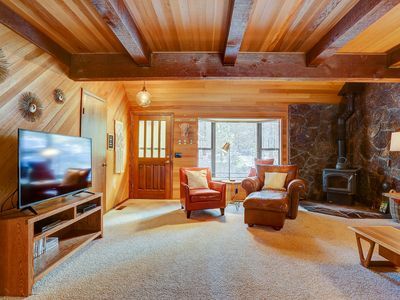 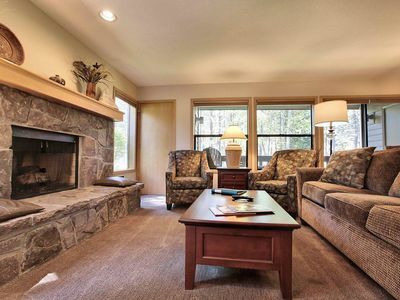 This Sunriver house has the feel of a rustic cabin with pleasures like a private hot tub and gas fireplace for all the comforts you need on vacation. 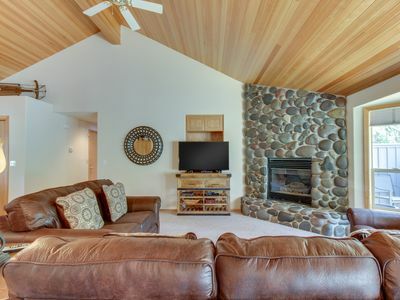 Wood-panel ceilings and woodsy decor give a warm feeling indoors, while a deck with a gas grill is perfect for sunny days. 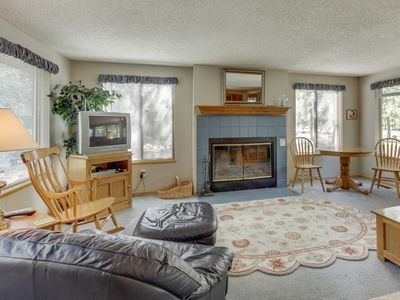 This house also comes with 10 SHARC passes that allow access to community amenities. 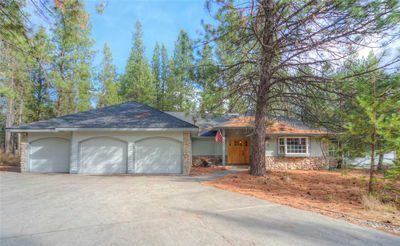 This house is a short walk from shared tennis courts and basketball courts at Fort Rock Park, as well as the Sunriver Marketplace. 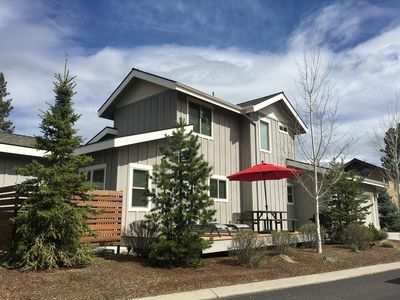 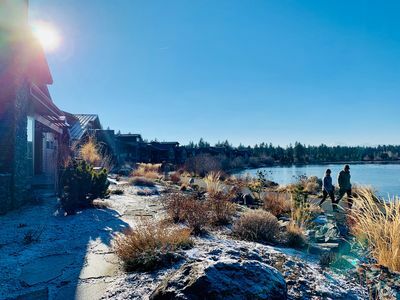 A short drive away, you will find two golf courses, shared pools and a fitness center at SHARC, and restaurants and shops in Sunriver Village. 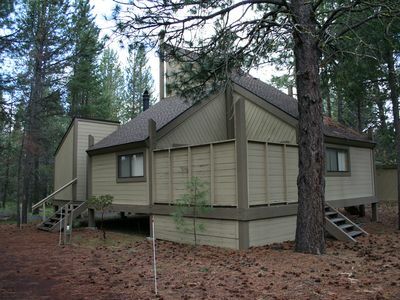 Other nearby activities include horseback riding, kayaking, mountain biking, and more! 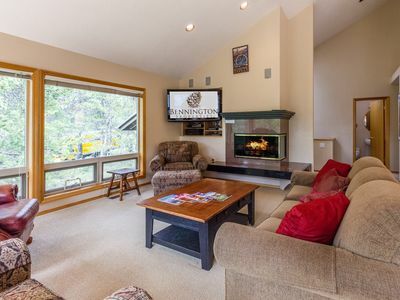 Relax on the deck and enjoy the excellent view of the South Golf Course! 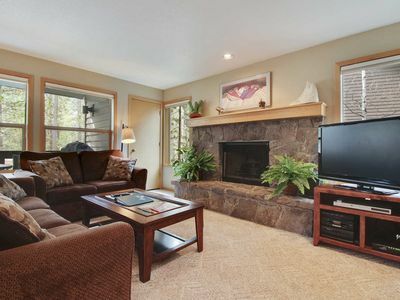 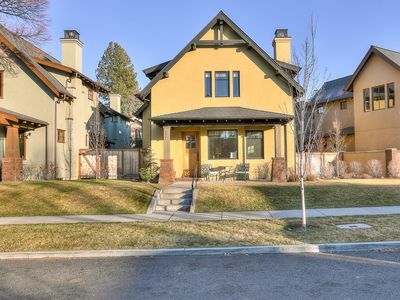 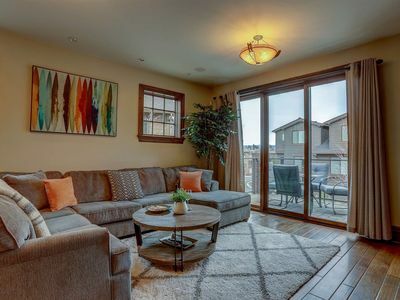 Bright, dog-friendly home w/ hot tub & 8 SHARC passes to pools/tennis/more! 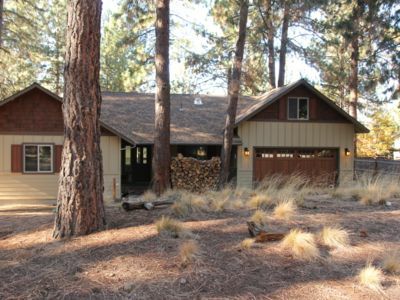 Cabin-style house w/ a private hot tub and SHARC access! 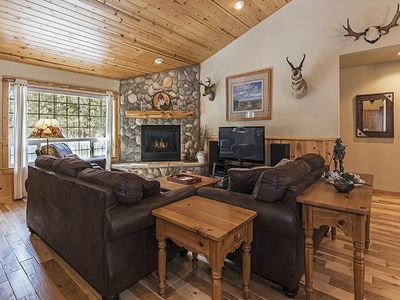 2 Acacia is a lodge inspired dog loving home! 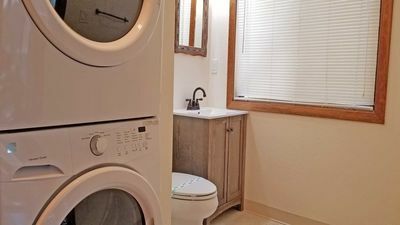 15 Warbler - Bright home in near river with A/C. 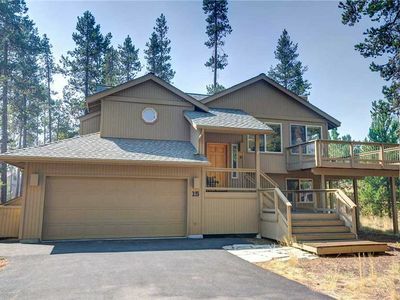 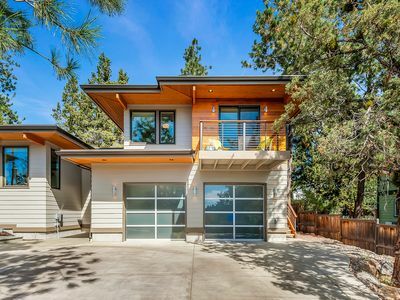 Modern Westside Home Close to Trails, Town & Mt Bachelor! 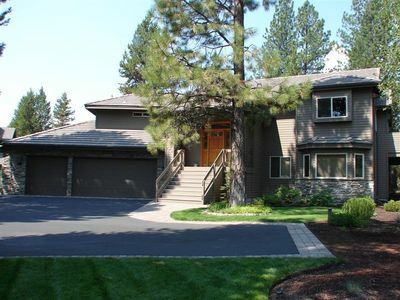 Immaculate Home with Two King Master Suites, Hot Tub & SHARC Passes!